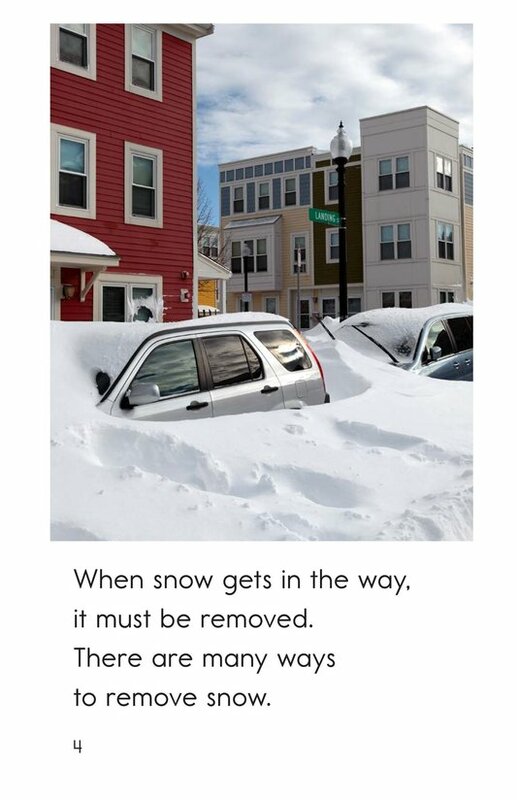 Snow is a beautiful sight, but sometimes it can get in the way. 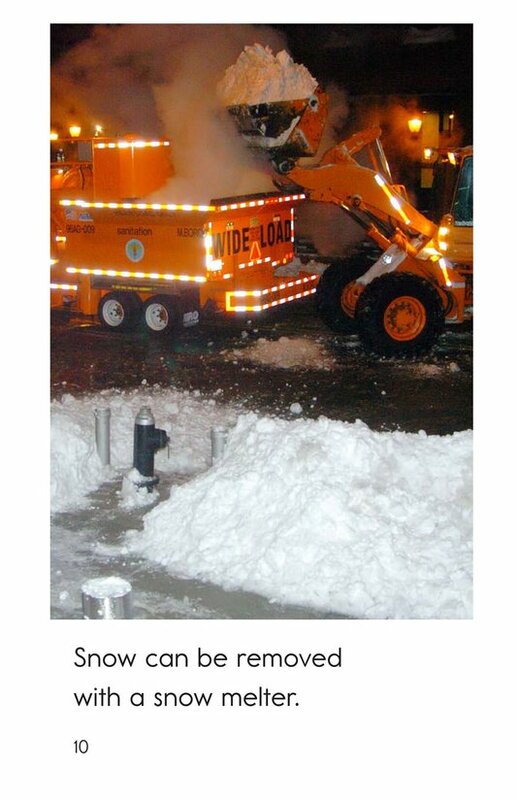 Explore the many ways snow can be removed in Goodbye Snow. 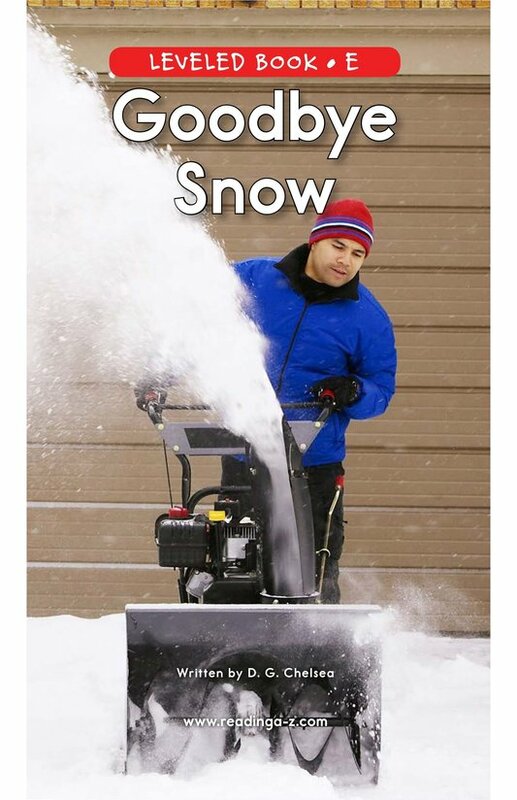 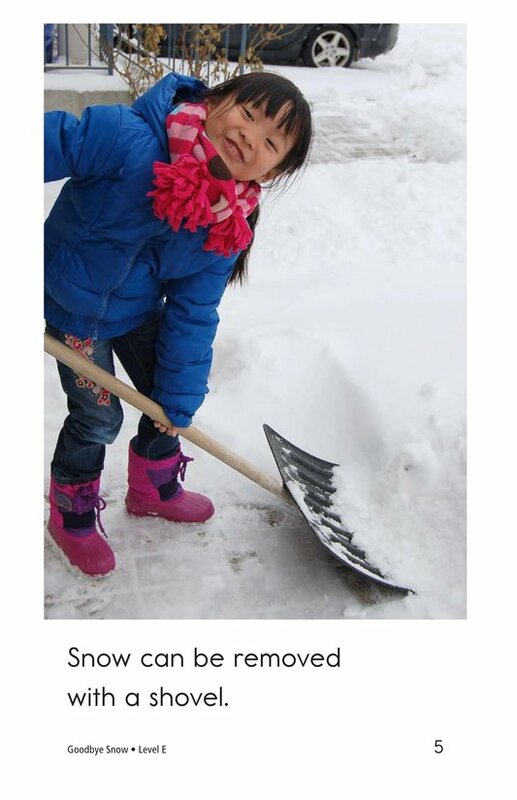 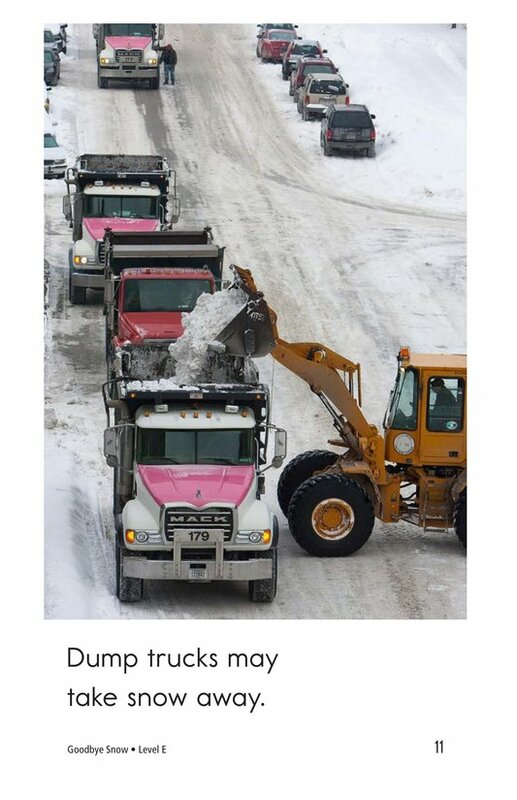 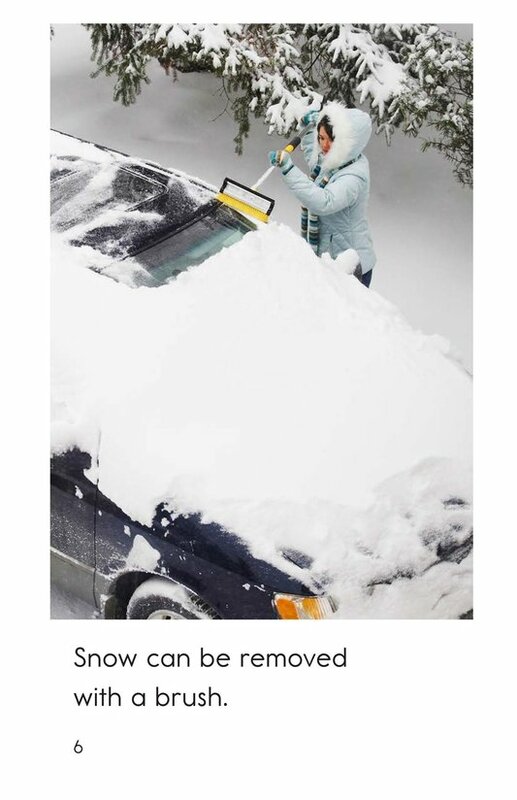 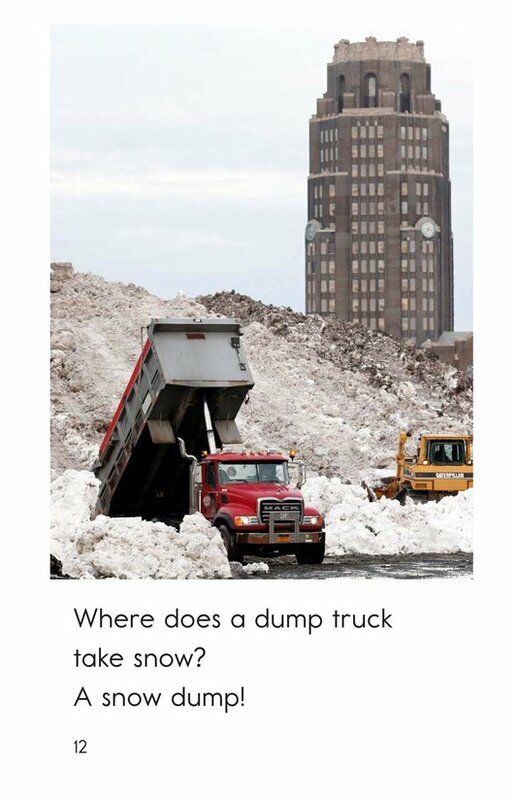 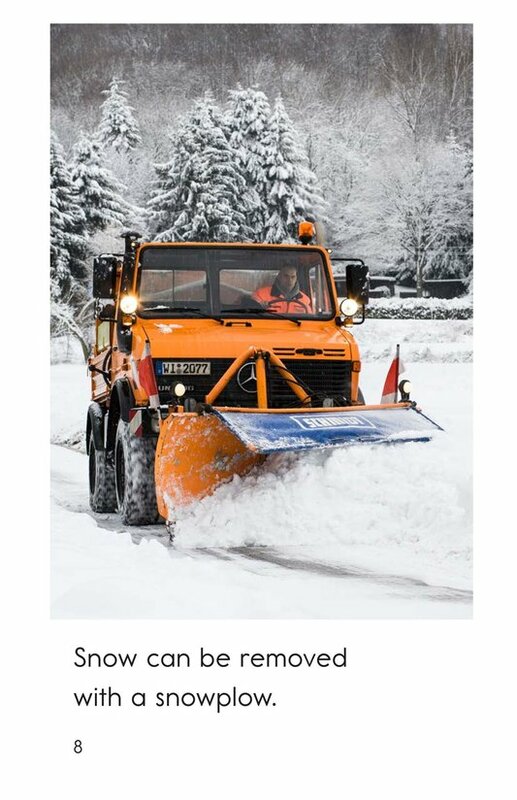 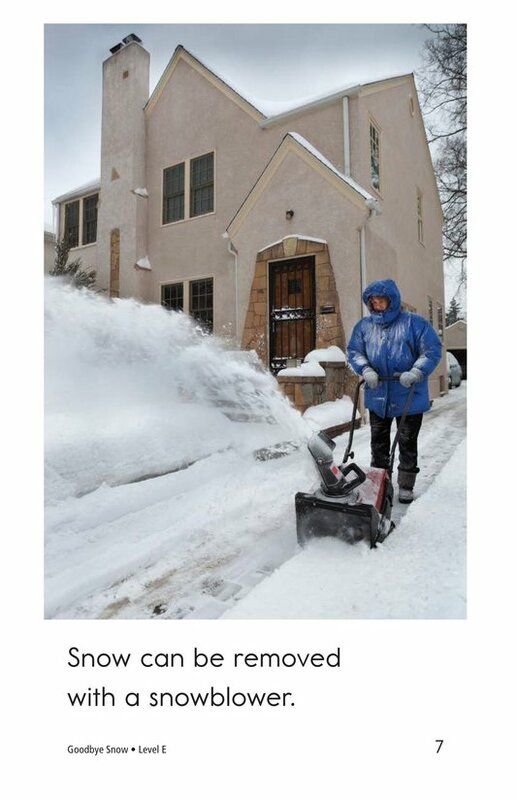 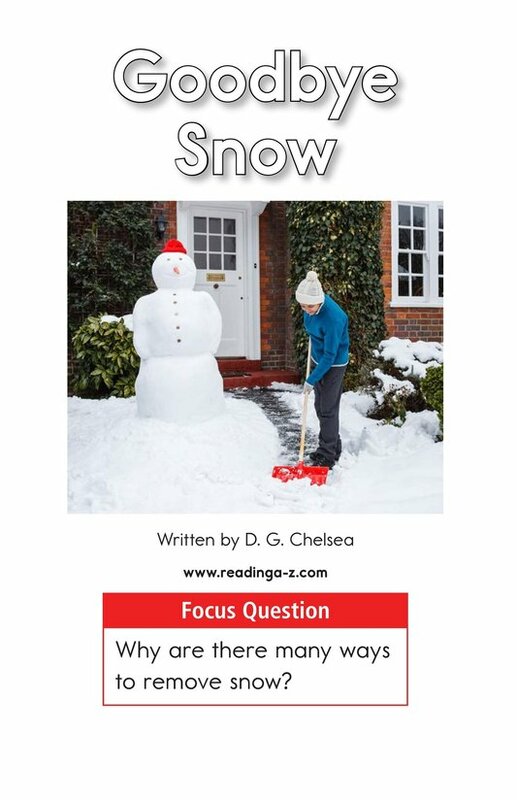 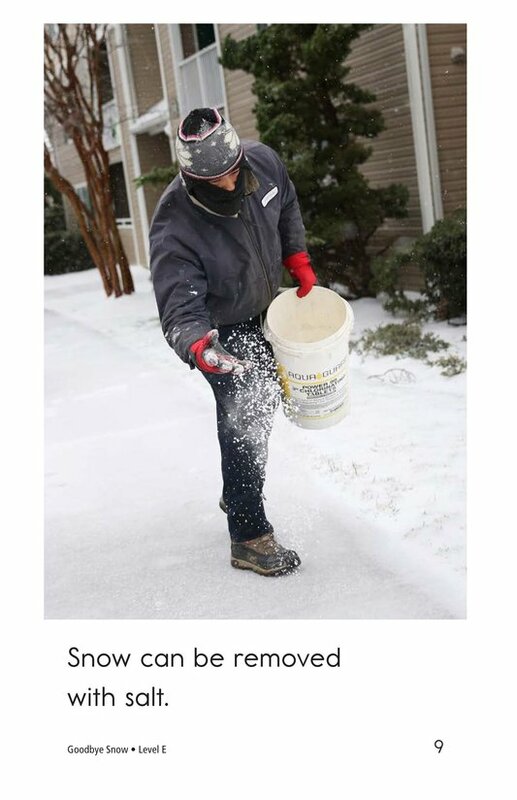 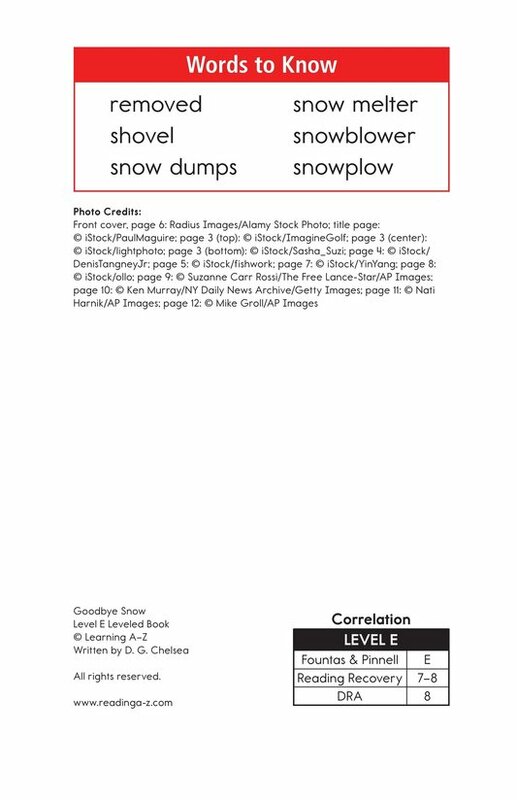 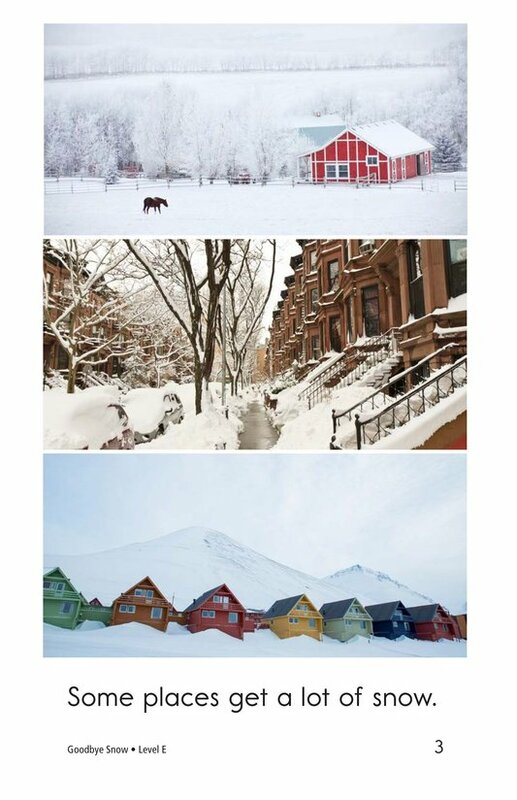 This book teaches students about the different tools used to remove snow, with engaging photographs and simple sentences. 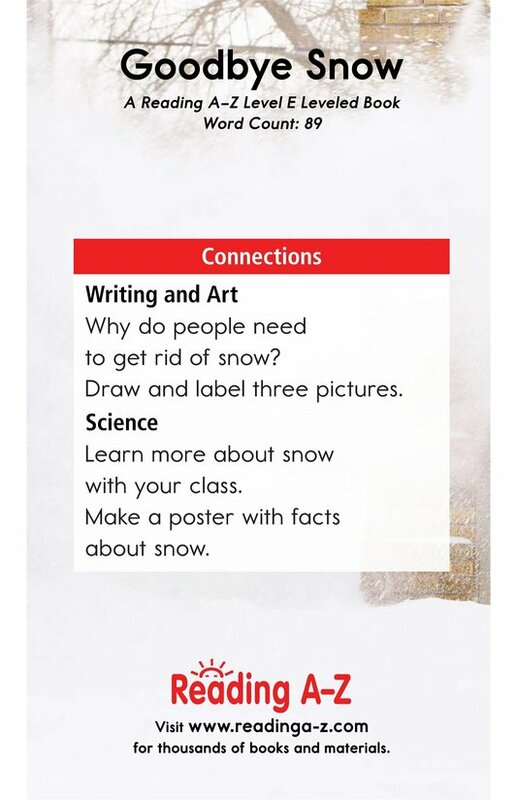 Students will also have the opportunity to make inferences and draw conclusions as well as to ask and answer questions to better understand the text.